Chrome Plated T5 Pipes, Stinger Tubes, Silencers, 2:1 High Flow Filter System, Outerwear pre-filter (black only), Perfect Jetting Kit, Aluminum Pipe Seals and Boyesen Reeds. 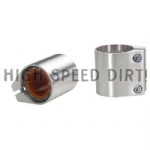 Toomey's top of the line pipe kit. 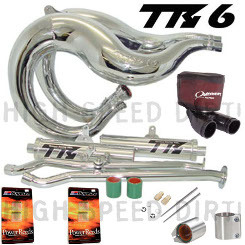 Beautiful Polished Chrome Finish T5 pipe kit with the 2:1 High Flow Air Filter System. 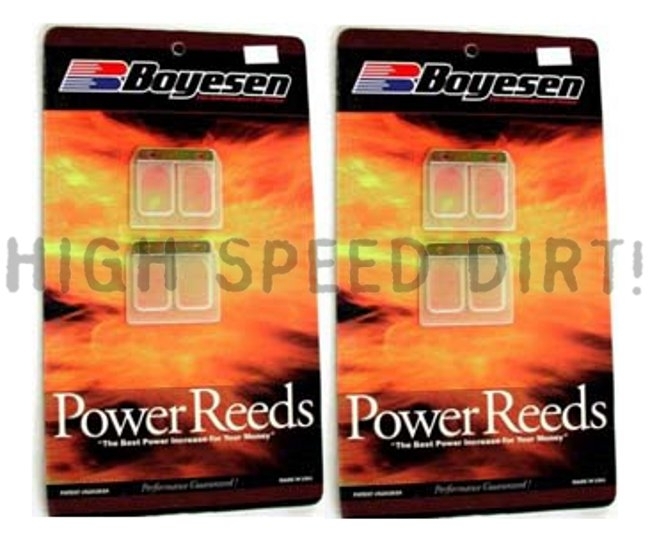 10 more horsepower than stock over a 2000 rpm WIDER powerband. 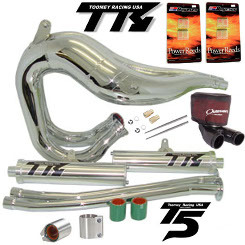 The T5 Racing Pipe Kit is the single biggest reason Toomey is the largest selling manufacturer of Yamaha 2-Stroke ATV Racing exhausts in the world. 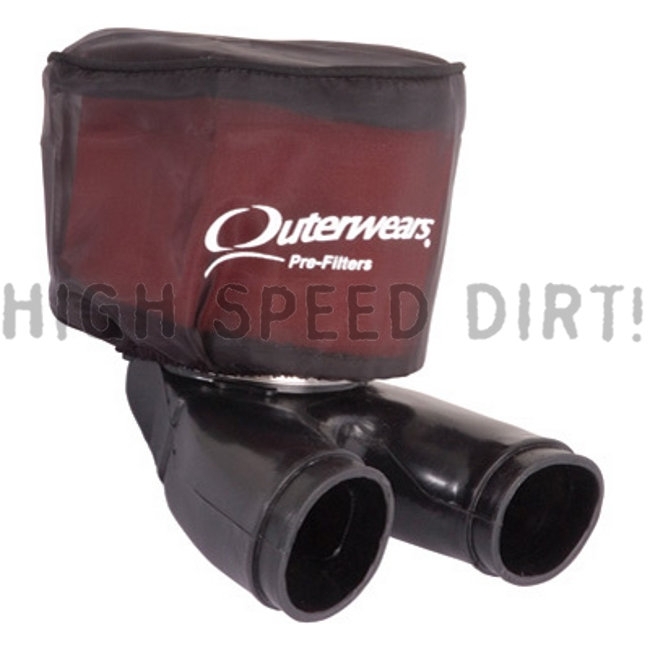 Baja 1000 Winners, World Champions and racers of all levels use our exhausts to dominate the competition!